This is a pattern I came up with while making my mom and her friends Christmas presents. 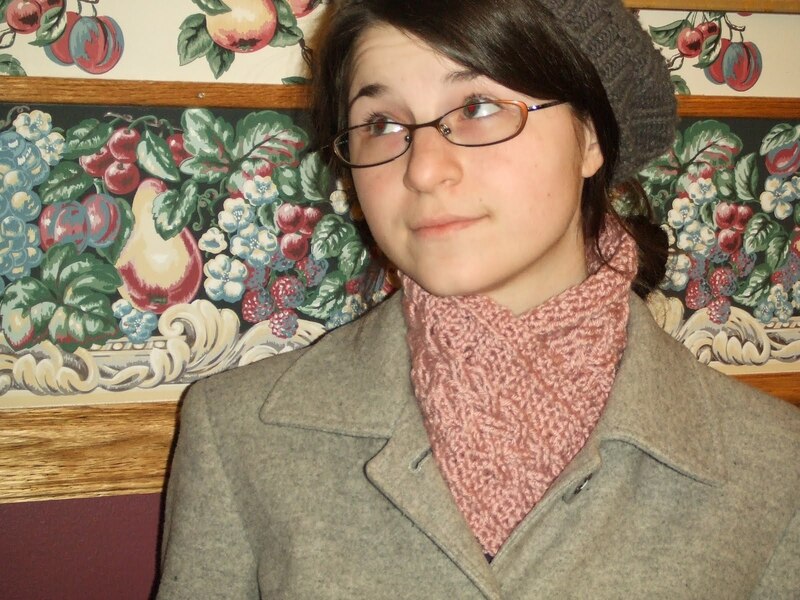 A Scarfellette is a small scarf that is buttoned. 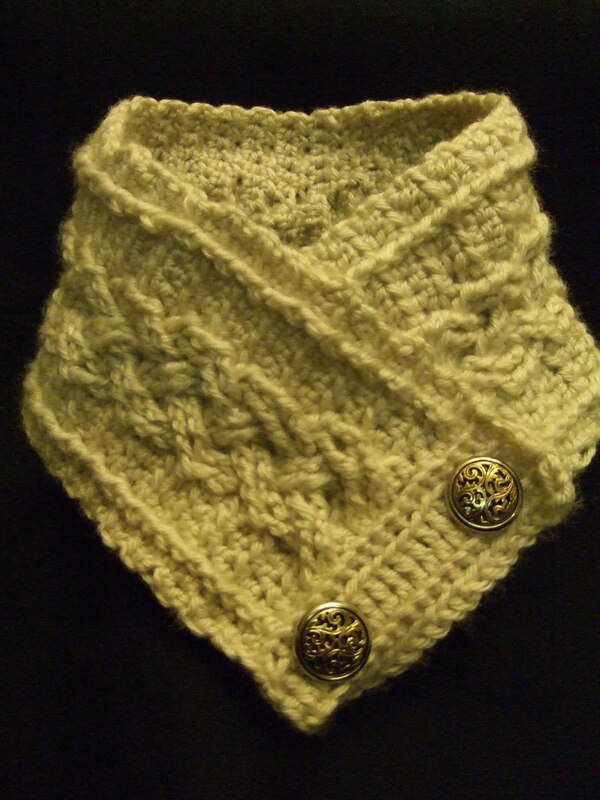 It requires less yarn than a long scarf and is relatively quick to make up. Estimate about 4-5 hours. ~Row 3 is basically an area for button holes, test your buttons to ensure fit. ~This pattern can be repeated to create a full length scarf; repeat Rows 5-8 then end with Rows 4, 3, 2, 1.